Thank you to the following members of the House of Representatives who recently signed on in support to H.R. 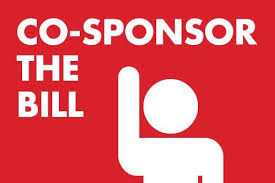 379 The National Nurse Act of 2015. Representative Don Beyer (VA-1-D) is serving his first term in Congress. He believes that all American families should have access to quality health care and is fighting for improvements in the U.S. healthcare system, especially for the neediest populations. Representative Beyer committee assignments include Science, Space, and Technology, Natural Resources, and the Joint Economic Committee. Representative Gus Bilirakis (FL-12-R) serves on the House Energy and Commerce Committee, additionally assigned to the Health Subcommittee. Working in a bipartisan manner, his main priorities include controlling government spending, creating jobs for middle class Americans, finding ways for government to operate smaller and smarter, and lowering taxes. He is also committed to strengthening homeland security, improving education, increasing access to quality health care, protecting veterans’ benefits, and ensuring the long-term viability of Social Security and Medicare. 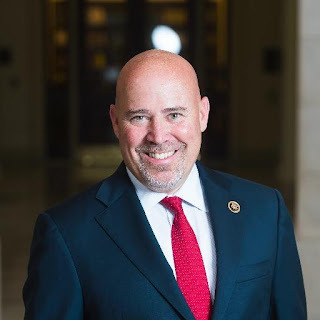 Earlier this month Representative Tom MacArthur (NJ-3-R) joined the growing list of co sponsors for H.R. 379 The National Nurse Act of 2015. Serving in his first term in Congress, Representative MacArthur serves on a number of committees including the House Armed Services Committee and the House Natural Resources Committee. Last year, he introduced The Excellence in Medicare Act to motivate providers to better serve seniors through performance incentives that would also reduce premiums and copays for seniors. Representative MacArthur and his wife also run In God’s Hands Charitable Foundation in memory of their daughter Gracie. This charity funds a variety of programs from helping wounded veterans to caring for children affected by AIDS in Africa. Representative Bill Pascrell (NJ-9-D) has built a life of public service upon the principles he learned while growing up on the south side of the Silk City. 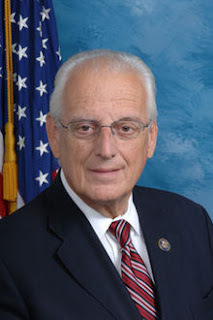 As the co-Chairman and founder of the Congressional Brain Injury Task Force, Representative Pascrell has raised the nation’s awareness of the dangers of traumatic brain injury (TBI). He is a nationally recognized leader in Congress on the issue of fire safety, having proudly authored the F.I.R.E. (Firefighter Investment and Response Enhancement) Act, which became law in 2001. Representative Pascrell also serves on the House Nursing Caucus. 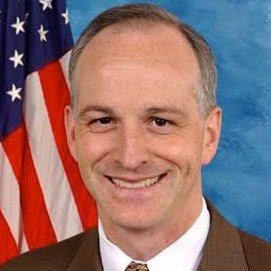 The top priorities of Representative Adam Smith (WA-9-D) are to encourage broad-based economic opportunity by ensuring all Americans have access to a high-quality education and job-training opportunities, building a stronger transportation infrastructure, reforming our tax code, and supporting social programs that provide a bridge for struggling families to get back to work. Representative Smith is a long time supporter of the National Nurse Act. He also serves on the House Nursing Caucus. Representative Rob Wittman (VA-1-R) serves on the House Armed Services Committee and the Committee on Natural Resources, where he is well-positioned to represent the needs of Virginia's First District. He has quickly earned a reputation for being an advocate for our men and women in uniform and for being a champion of the Chesapeake Bay. 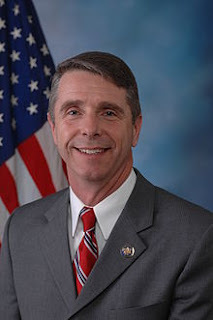 Representative Wittman is the Co Chair of the recently formed Commissioned Officers Association Public Health Service (COAPHS) Congressional Public Health Caucus. The need for a nationally recognized public health nurse leader could not be greater as evidenced by the recent report from the CDC. According to MedPage Today, “the prevalence of obesity among adults in the U.S. passed 30% for this first time ever last year, according to new numbers from the CDC.” This is an all time record. Only 21% of adults met the guidelines set for physical activity. The Office of the Surgeon General is leading a call to action to “Step It Up” for walking and walkable communities. With a more visible Chief Nurse at his side, known as the National Nurse for Public Health, there is greater probability that these messages could reach our communities via the nation’s trusted messengers, our 3.4 million nurses. The issue of obesity is a worldwide problem facing our children today. According to the World Health Organization (WHO) in 2015, an estimated 42 million children under the age of 5 are overweight or obese which is an increase of about 11 million during the past year. The issue of obesity has brought the attention of the First Lady Michelle Obama's to develop the Let's Move program to eradicate child obesity in this country. We as parents have to incorporate healthy eating habits early on and promote daily physical activity. There needs to be the collaboration between the public and government to make the necessary changes to improve the diet and prevent chronic disease. According to the WHO, many countries have taken fiscal measures to protect individuals from unhealthy products. The fiscal policies that target food and beverages identified as being unhealthy is a start in the right direction. There is enough evidence to correlate obesity with non-communicable diseases. As nurses, we must stress the importance of prevention and promote healthy lifestyles.